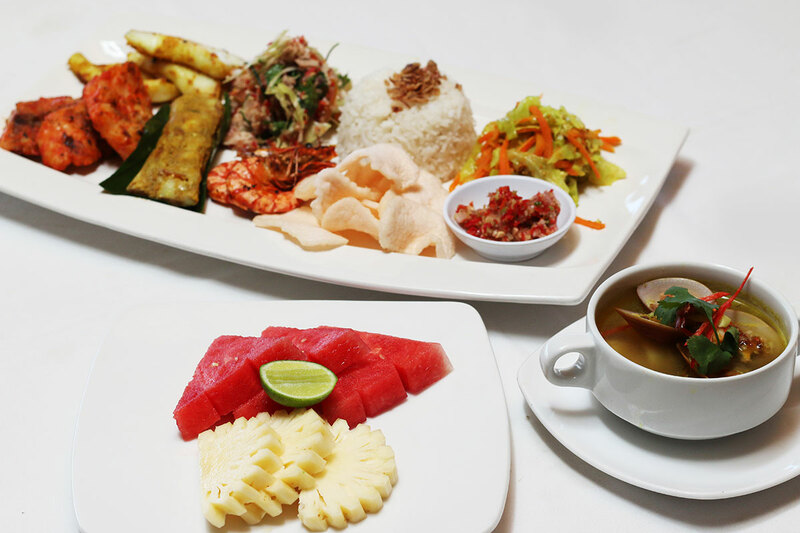 If you are wondering about “What is Jimbaran Beach Club Seafood Rijsttafel”, well you have come to a right place. In Jimbaran Beach Club, the signature dish is Seafood Rijsttafel. The word “Rijsttafel” is literally translated from Dutch which means “Rice Table”, in which the rice is served with small portions of the variety of side dishes. 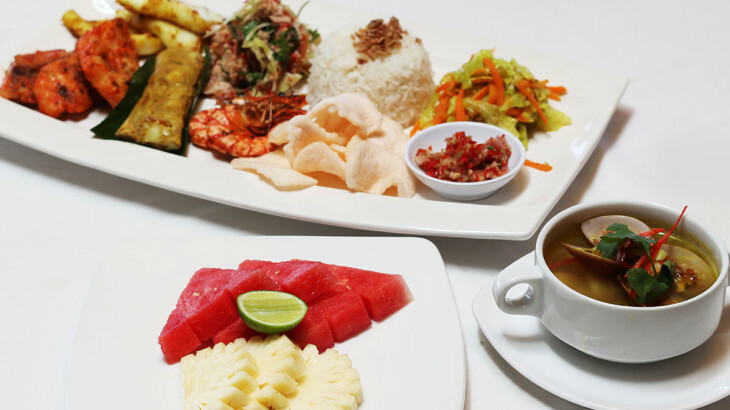 Seafood Rijjstafel in Jimbaran Beach Club is served with rice, accompanied with the variety of “freshly from the market” seafood such as fresh fishes, prawn, calamari, scallops and even Balinese-style satay as well as healthy vegetables. The seafood are cooked in a different way, some are sautéed, and the other are barbecued. Try out the Seafood Rijstaffel when having your dinner at Jimbaran Beach Club. You will surely craving for more.